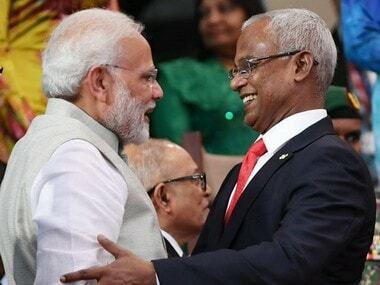 Seychelles president Danny Faure held talks with Prime Minister Narendra Modi during his trip to India, signed six agreements and attended a banquet hosted by President Ram Nath Kovind. He seemed to have struck all the right notes during his visit to India. Faure also sang a melodious song while strumming a sitar at a lunch hosted by Modi. Faure took to singing O Mon Pei Sesel and playing the sitar at the lunch as the prime minister looked on. In a goodwill gesture, Seychelles gifted a pair of giant Aldabra Tortoises to India. Thanking Faure for the gift, Modi said the creatures with long life spans have been around for three centuries and are a symbol of "our ever-lasting" friendship. "In India, this creature and other animals are seen with a lot of love and compassion," he said in his press statement. The pair will be kept at Hyderabad Zoo, a Ministry of External Affairs official said. Gifting or giving Aldabra Tortoises on loan to friendly countries is a part of the Seychellois diplomacy. The "frank and productive" discussions between Modi and Faure reflect a normalising of ties between the two countries. The two leaders agreeing to work together "for the welfare of each other" assumes greater significance because the base would give India an advantage in the Indian Ocean Region (IOR). India's primary objective for setting up a joint naval facility in Assumption is to ensure the safe passage of shipping vessels and containers in the southern IOR. Another important objective is that the base would allow the Indian Navy to monitor the Mozambique Channel and thwart any piracy attempts, as The Diplomat pointed out. The facility can also potentially counter China's increasing presence and securitisation of the IOR. Six agreements were signed between India and Seychelles after talks between Modi and Faure. They discussed about cooperation in key areas such as defence and security between the two nations at the Hyderabad House. India and Seychelles agreed to work together on a project to develop a naval base at the Assumption Island keeping each other’s concerns in mind after talks between Narendra Modi and Faure. India also announced a $100 million credit to Seychelles for augmenting its defence capabilities. 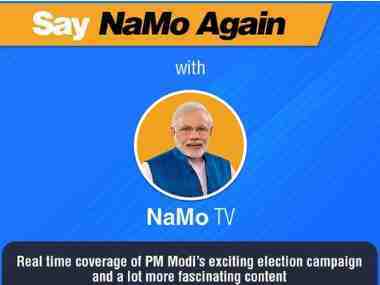 "With this credit, Seychelles will be able to buy defence equipment to boost its maritime capacity," Modi said in his joint media statement with Faure. On the project to develop a naval facility at the island, which would give India a strategic advantage in the Indian Ocean Region, Modi said, "We have agreed to work together on the Assumption Island project based on each other’s rights." Faure, in his remarks, said the Assumption Island project was discussed and the two countries equally engaged to work together bearing each other’s interests. Modi and Faure agreed to work together on the Assumption Island project based on "each other's interests", days after reports from the Indian Ocean nation of it cancelling the pact with India to jointly develop a naval base there. After their comprehensive and "frank" discussions on key areas, including security, Modi said, "We have agreed to work together on the Assumption Island project based on each other's interests." "Both India and Seychelles are key strategic partners for each other... Both countries respect the core values of democracy. We share the geostrategic vision of maintaining peace, security and stability in the Indian Ocean Region," the prime minister said. Noting that India and Seychelles share robust defence and security cooperation, Modi said India would also hand over second Dornier aircraft to Seychelles as promised by him during his visit there in 2015. The aircraft would reach Seychelles before its National Day on 29 June, Modi added. 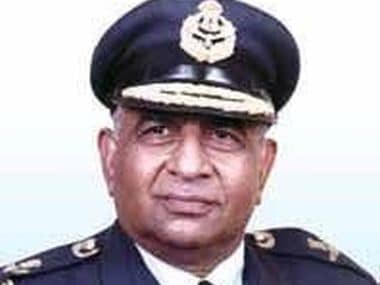 He also said that there was a strategic convergence in dealing with maritime challenges between India and Seychelles, which is straddled between one of the important Sea Lanes of Communication (SLOC) and vulnerable to piracy. "Under our strong partnership, it is our shared responsibility that we ensure comprehensive maritime security for our exclusive economic zones and coastal areas. We face dangers of international crimes such as piracy, drugs, human trafficking and illegal explanation of oceanic resources," Modi noted and assured India's commitment to augment the island nation's defence capabilities, maritime infrastructure and increase the capabilities of its defence personnel. With India's support, Seychelles will be able to deal with both traditional and non-traditional challenges, Modi said. He also added that India would send experts to Seychelles on deputation in the areas identified by the island country. Seeking investments, Faure said his country welcomes ideas, services and products from India to further strengthen economic ties between the two countries. He said that Seychelles has created a conducive business environment and has taken number of reform measures to attract investments. "We will make your investment project a functioning enterprise...We value your investments and our country welcomes you," he said, while addressing business members of industry chambers, including CII. Faure said that retail sector and large construction firms in Seychelles is largely owned by Indians and they have contributed significantly in the socio-economic development of that country. Faure and Panaji mayor Vitthal Chopdekar discussed areas in which the Goan capital and Victoria, capital of the African nation, could cooperate in connection with the Twinning Agreement between the two cities. A twinning agreement is a social or legal tie-up between two cities, generally in geographically distinct areas, to promote cultural and commercial links. Faure and Chopdekar discussed ways to cooperate in areas like port exchanges, marine security, tourism, heritage preservation, people-to-people contact and fisheries, officials said. The Corporation of City of Panaji (CCP) has been nominated as the nodal agency to execute the twinning understanding arrived between India and Seychelles. The agreement will be formally signed in New Delhi. "We had a discussion on having cooperation between Victoria and Panaji on various fronts including culture and tourism promotion," CCP Mayor Vitthal Chopdekar told PTI. External affairs minister Sushma Swaraj also called on the visiting leader and discussed with him expanding bilateral cooperation in key areas, including capacity building and human resource development. 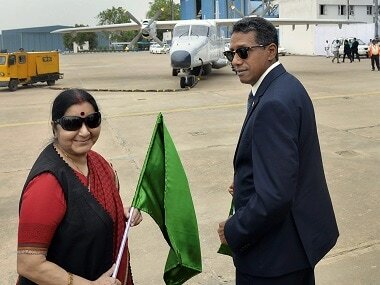 She also handed over a Dornier 228 aircraft to Faure at Palam Technical Area in Delhi.